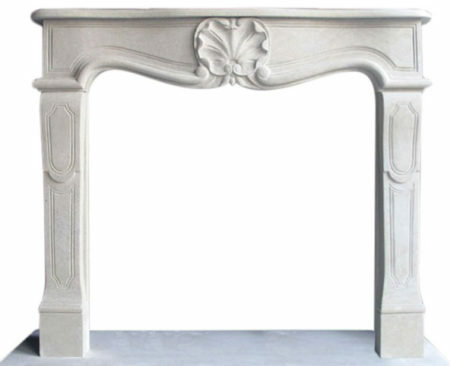 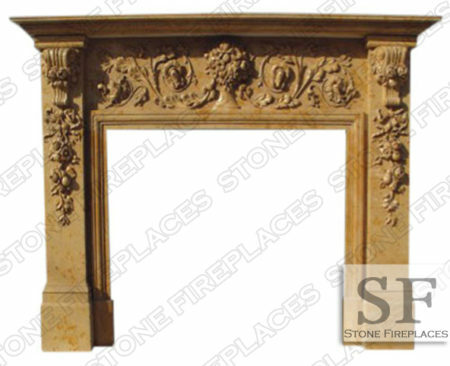 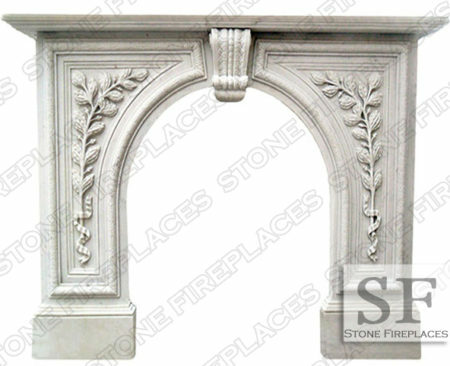 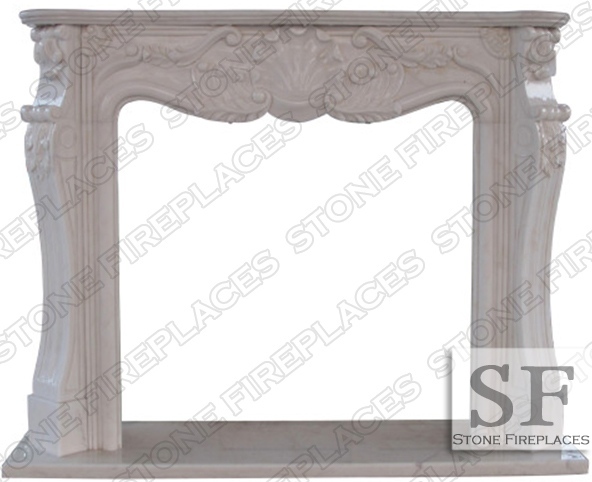 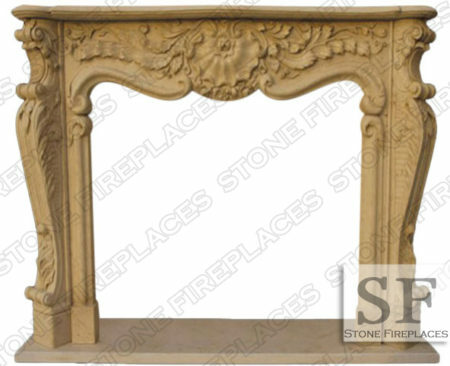 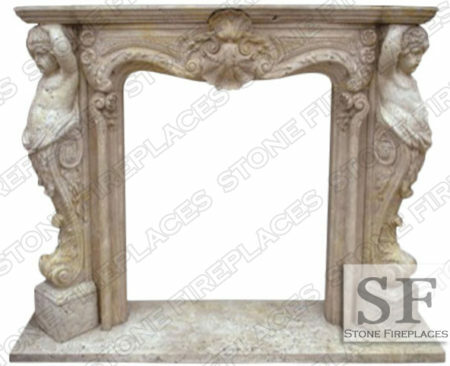 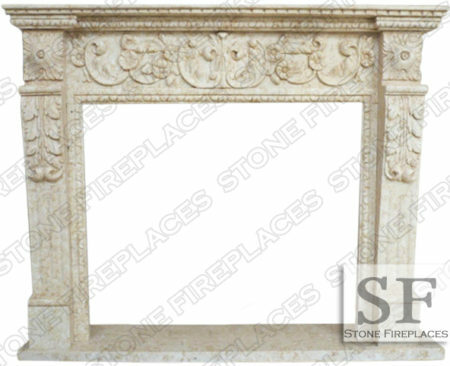 Gorgeous French style St Louis mantel carved in white marble. 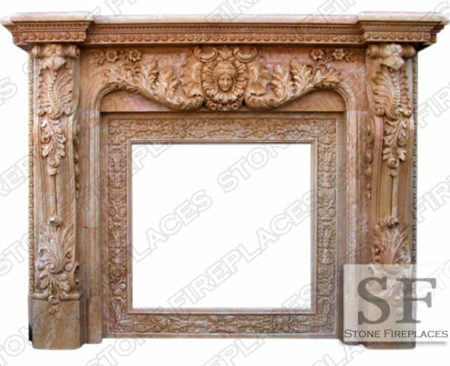 This is a very popular design with intricate floral carvings. 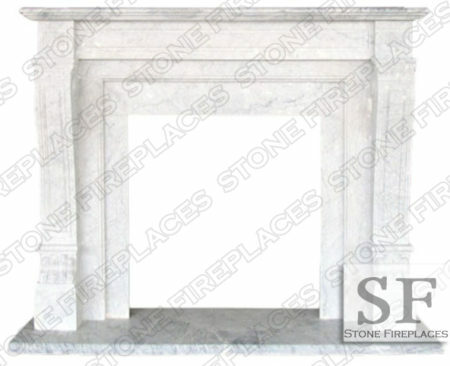 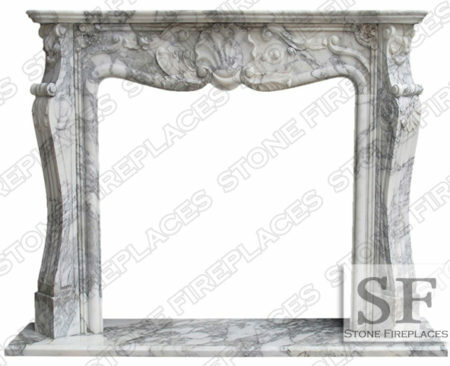 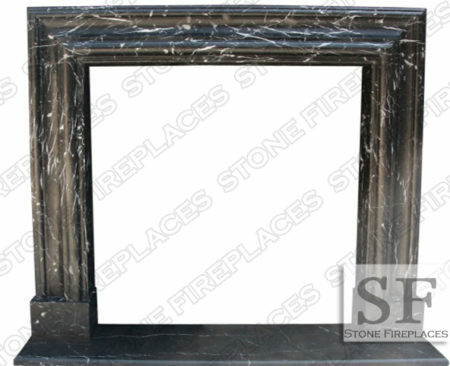 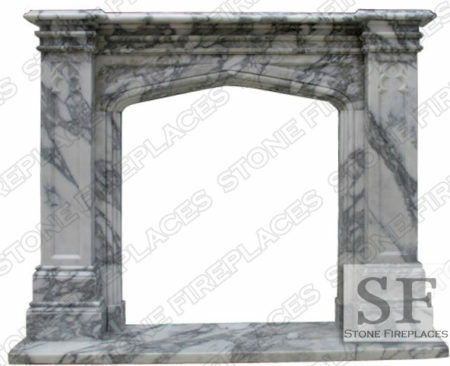 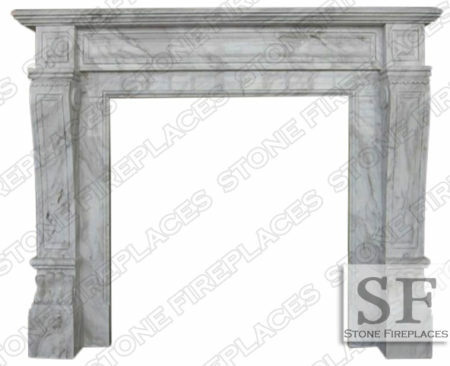 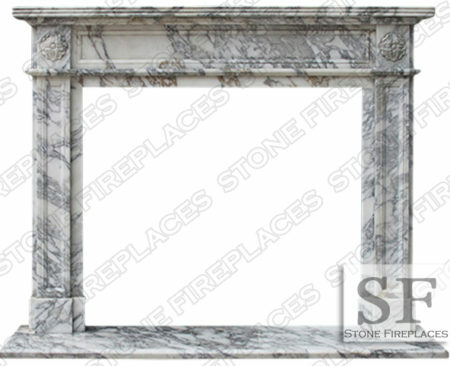 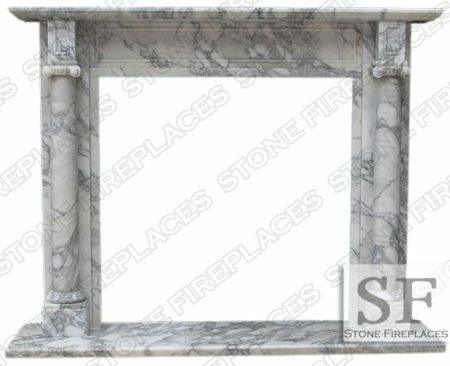 This is a polished marble fireplace surround. 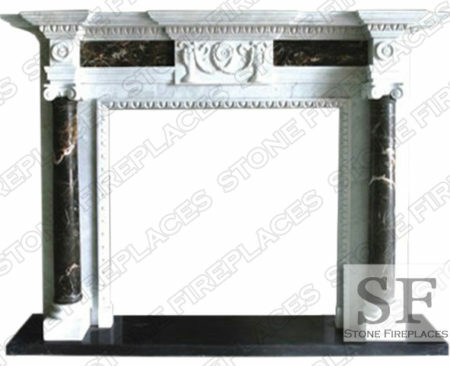 We offer several different versions of the St. Louis in different sizes and details. 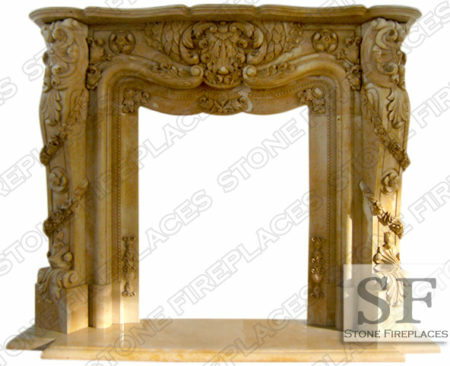 Here it is pictured carved from white marble. 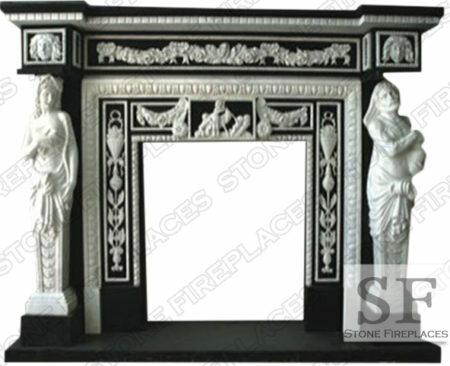 You can also find it on our sale page carved from black marble. 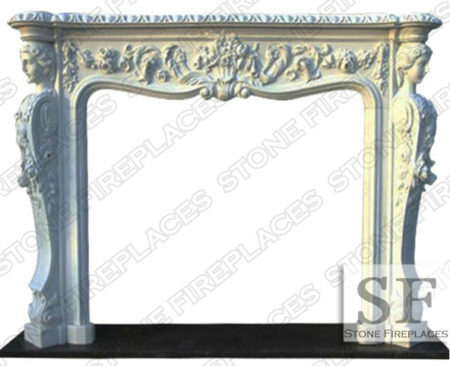 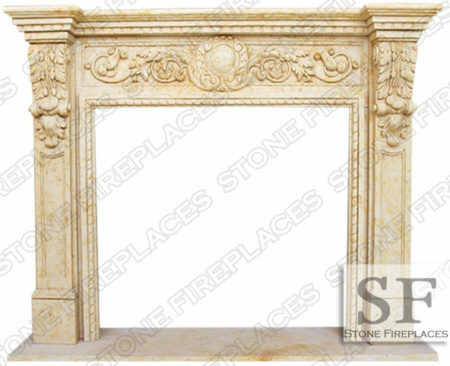 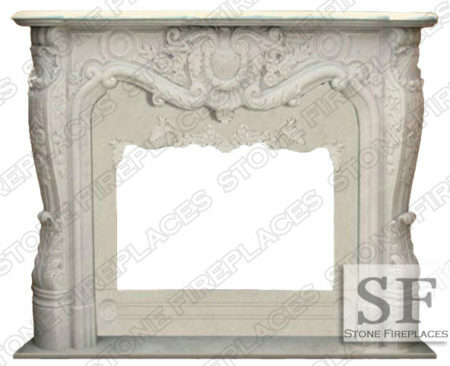 Large more intricate versions of this French Fireplace style include the Victoria, the Versailles White Fireplace Marble, Pasadena Surround, Carolina and more. 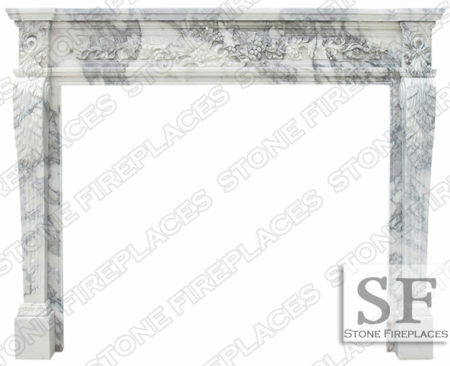 This mantel gets its name from St. Louis Missouri. 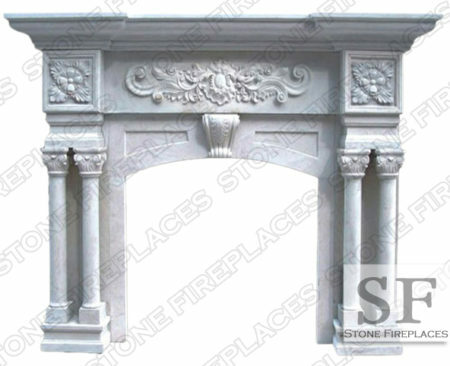 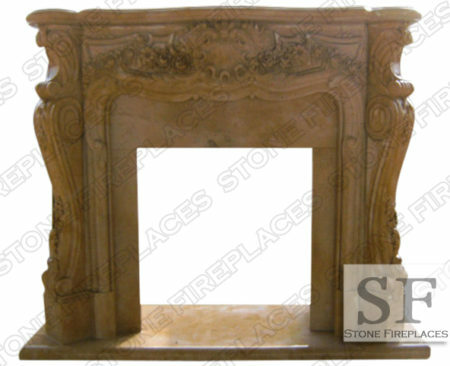 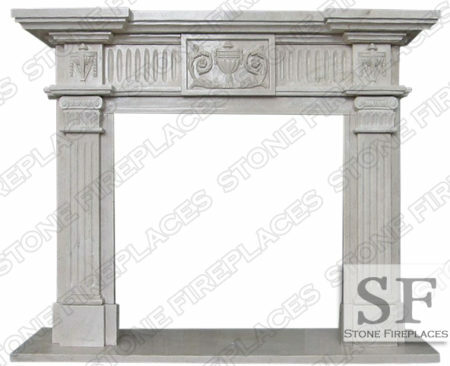 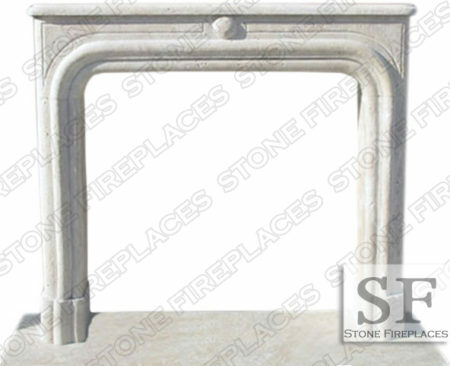 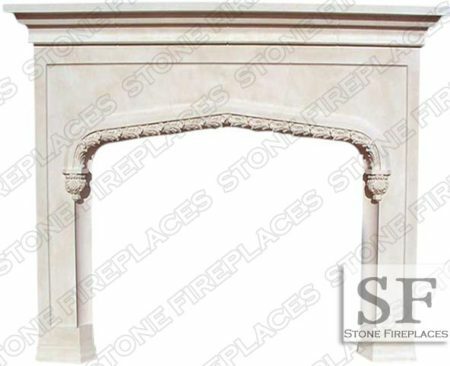 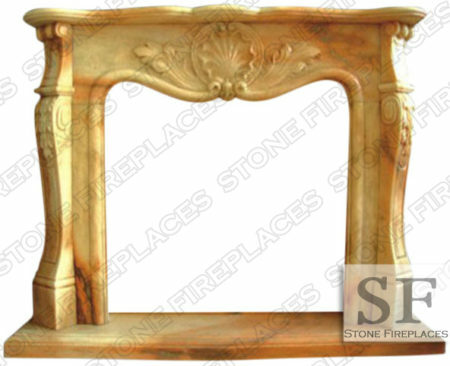 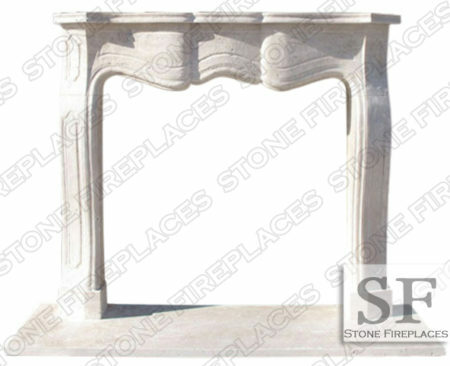 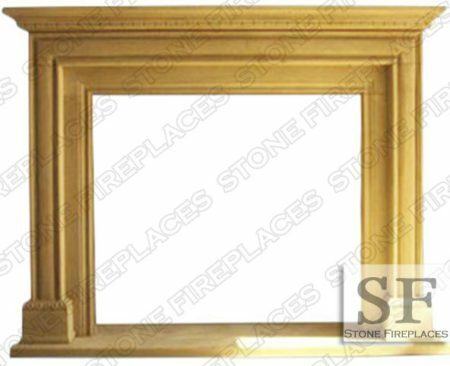 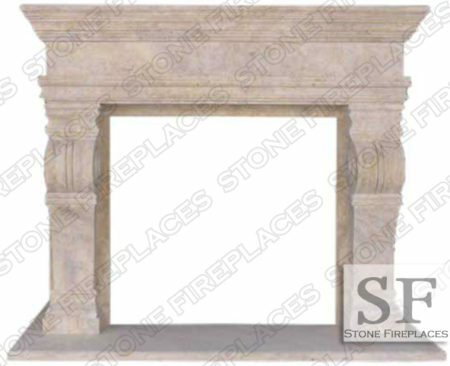 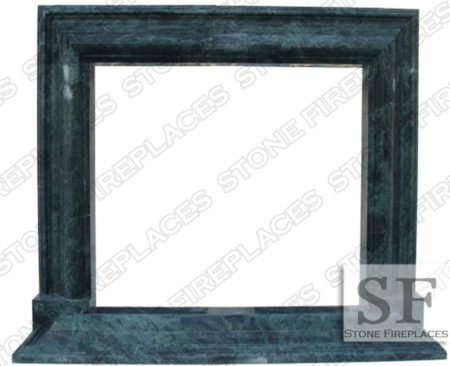 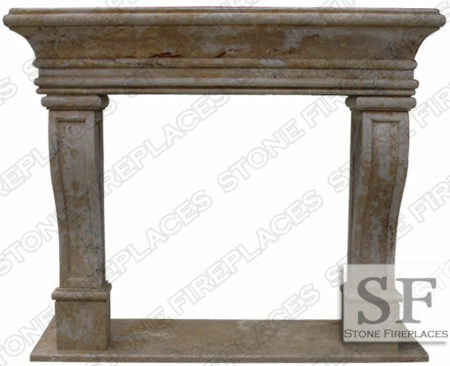 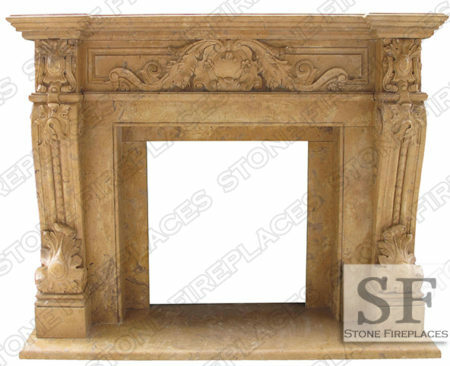 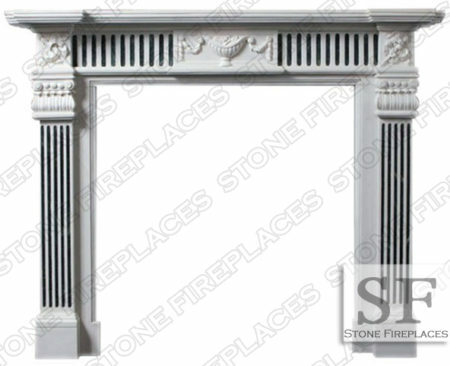 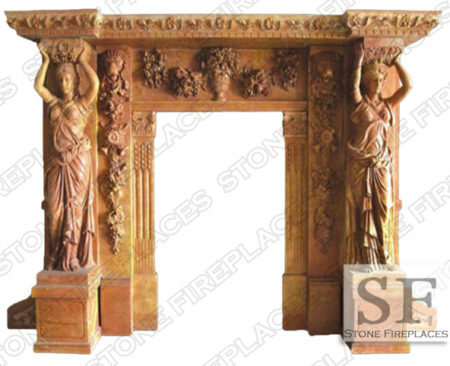 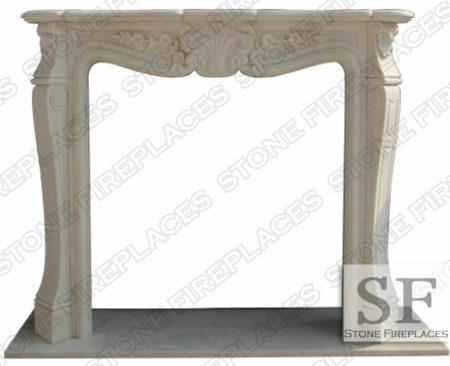 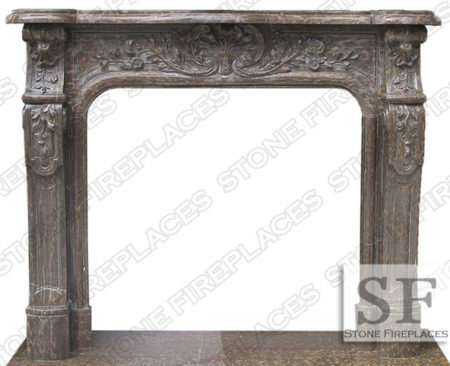 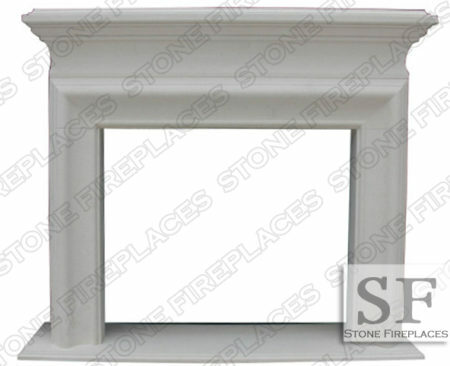 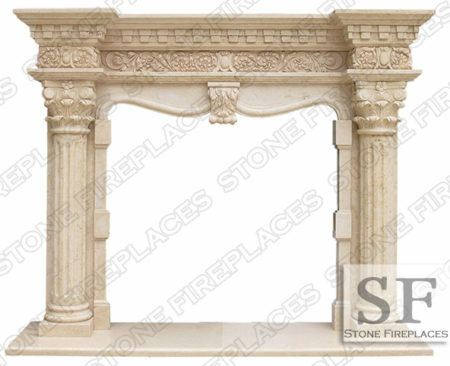 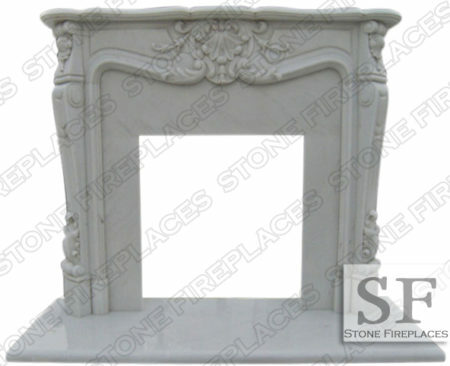 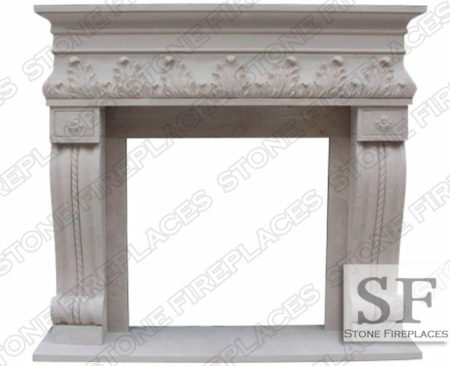 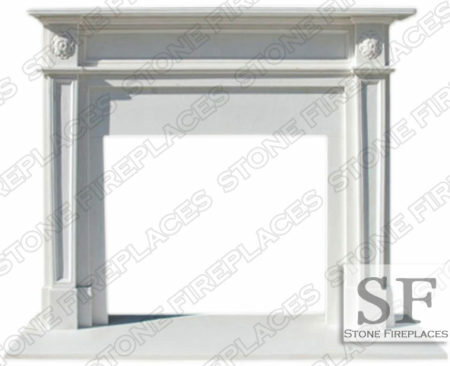 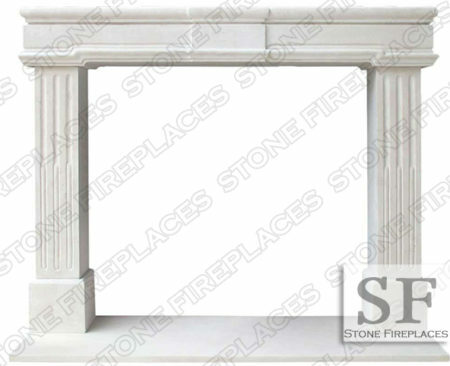 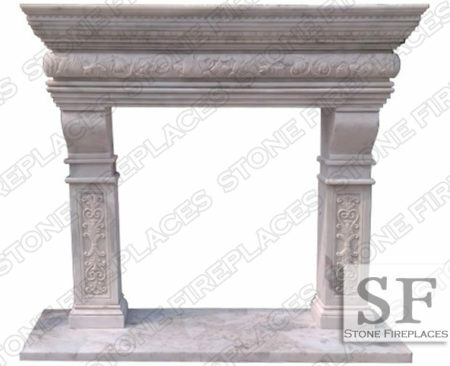 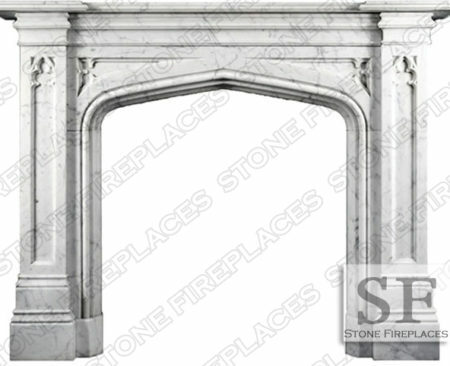 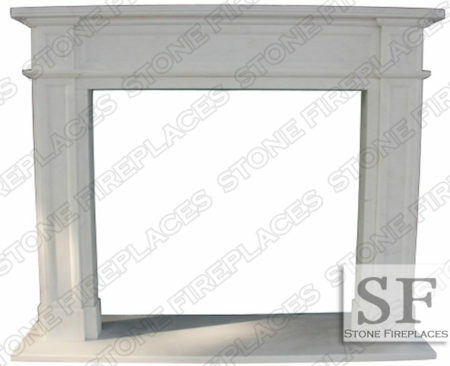 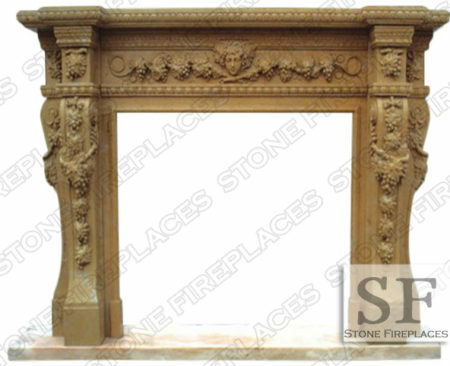 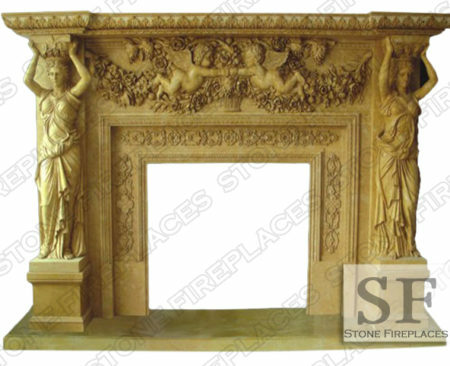 We are capable of installing this fireplace mantels in Missouri. 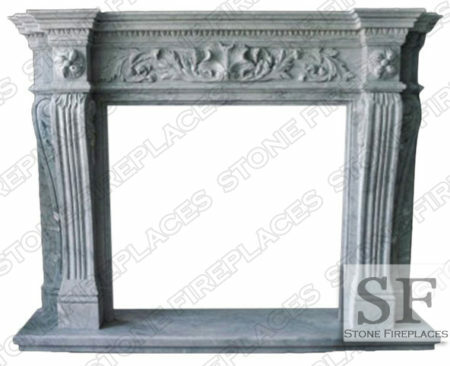 Give us a call for fireplace install details.